Who doesn’t love sitting outdoors on a warm summer evening? The orange-yellow glow of the sun as it sinks into the horizon. A light breeze providing just the right dose of natural air conditioning. Your preferred beverage ensuring you don’t end up dehydrated. Sure, a bean bag might be suitable for a uni student’s apartment, but unless you enjoy being swallowed by soft furnishings and drowning in your sweat, bean bags should be outlawed on your patio. As should tacky plastic chairs and pinch-inducing rattan furniture. The Danes have long known the importance of creating inviting spaces. With a climate that is regularly cold, wet and outright dreary, the residents of Denmark are still some of the happiest on earth. Think of that, depressingly long winters, yet these people are still smiling. How can that be? Put it down to the hygge! In essence, hygge means creating a warm atmosphere and enjoying the good things in life with good people. Some people have described it as the Danish art of coziness. So how can you get hygge with it? (Actually, it is pronounced ‘hue-guh, don’t rhyme it with jiggy). Candles – The warm flickering light of candles is essential to creating lighting that comforts the soul. Small candles that reflect moving light off your outdoor walls, shrubs and furniture is perfect for replicating that awesome Danish contented atmosphere. In Denmark, fires are kept alight and families snuggle around them to keep warm. In Sydney, we might not reach the same climatic chills, but we can replicate them with a small wood burner on the patio. Use your fireplace as a centrepiece and enjoy vivid conversation with your friends that you would never have if you were perched in front of the TV. 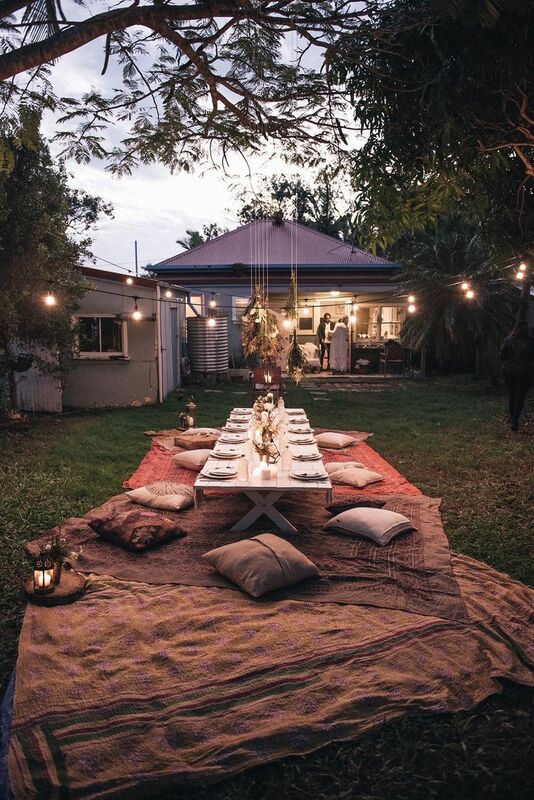 Keep Great Company – Ok, this is something that you can not get at a homewares store, but it is essential to invite your friends and family for a meal. The quality of the food is not as important as the quality of the company you keep. Switch the phones to silent, or even better leave them inside, and get absorbed in deep conversation with your loved ones. Less Is More – Smart, minimal and intentional. Less is more. Ask yourself, “Does this space really need this object?” If your answer includes the phrase ‘just in case’, then you don’t need it. Move it away, or for some added hygge joy, give it away. Start From The Ground Up – Earthy rugs handcrafted by talented weavers are used extensively in homes all over Denmark for creating a grounded space. While there are a lot of outdoor rugs that you could use, another option is to use cement tile that provides a grounding rug-like effect, yet is far easier to clean and maintain. Mix & Match – Once you have settled on the basic structure and primary elements of your outdoor space, it is time to start choosing furniture. Depending on your personality and experience, this is where it is going to get either really exciting or really stressful. Thankfully, hygge encourages you to mix and match. Don’t feel that you have to stick to the one furniture collection. Gone are the days of ‘matchy-matchy’ furniture sets. Craft your space. Instead of worrying about what is in style, focus on the three Cs. 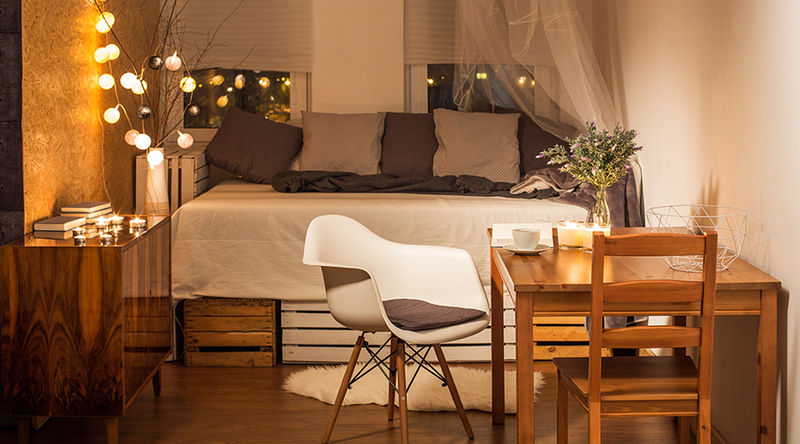 Cozy, comfortable and conversation inducing. Create a space that you want to lounge in. If you enjoy being in your outdoor space, your friends and family will as well. Acoustics Are Important – Often overlooked, the acoustics are essential to making an outdoor space enjoyable. Bad acoustics make people talk louder and listen less. Soften concrete walls with greenery to break up bad acoustics. Add cushions and layers to create good acoustics that makes it a pleasure to converse. Choose Accessories With Meaning – Don’t settle for stock-standard homewares that just clutter. Take the time to identify items that really gel with your personality. The money you save on not buying token homewares can be used to purchase unique items that add a personal and emotive touch to your outdoor space. Where To Purchase Hygge Furniture In Sydney? So you want to find hygge furniture that has been designed with the less is more mentality. There are a plethora of designer furniture stores that tailor for the hygge movement, but it can be a bit more difficult to find an outdoor furniture retailer with an exciting range of items that blend designer styling with hygge coziness. But before you look at the importing costs of bringing some Danish outdoor furniture across the Atlantic, you will be glad to find a boutique retailer in the Inner West that ticks all of the boxes – Mamagreen Outdoor Furniture. Renowned for designing internationally acclaimed outdoor furniture since 2007, Mamagreen combines high-end Belgium design with earthy elements. Oriented to casual lifestyles where mind and body relax, Mamagreen is a treasure trove of unique outdoor furniture and accessories. Lead designer Vincent Cantaert combines modern Belgian style with sustainable materials from South East Asia to create memorable furniture that is designed to last. The colour pallets of Mamagreen includes soulful blacks, greys, browns and taupe, perfect for creating a hygge filled space. From the elegant MEIKA armchairs that combine the warm grain of teak with excellent usability to the QUILT daybeds and coffee tables that ooze coziness and timeless luxury, Mamagreen has everything you need to create a unique space for your personality. With an abundance of luscious pillows crafted from innovative fabrics with quick-drying cores, Mamagreen is your secret to creating a hygge filled outdoor space on your patio, balcony or outdoor space. The comfortable padding and mixed patterns are great for softening up spaces. The BEE, FLOWER, PADDED and WEAVE pillow collections can be mixed and matched to create your own unique atmosphere. There are many hygee sub-Reddits that you can follow for inspiration. Mamagreen offers 15 different collections with over 300 different items. Targeting the high-end residential and commercial market, Mamagreen offers the highest build-quality and features. If you are looking to invest in furniture that provides a designer style and excellent durability, Mamagreen is going to be your new favourite furniture store. With a showroom in Lilyfield in the Inner West of Sydney, Mamagreen makes it easy to come and explore all of the latest collections and pick and choose your favourite pieces. The online store allows you to buy online with convenient and affordable delivery services. Don’t settle for a lame outdoor space any longer. 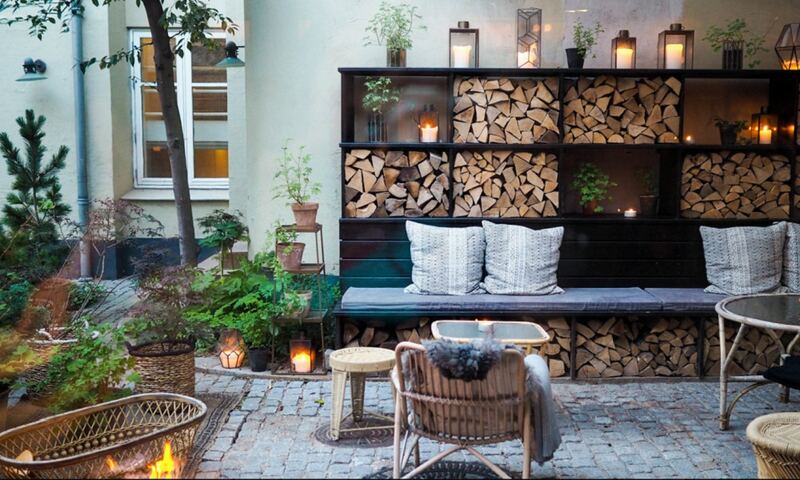 Utilise the uber-coziness of hygge and create your own outdoor space that you will never want to leave. ← How To Keep Your Persian Rug Clean – A Professional Guide!